We had been watching the weather forecast for a couple of days, tracking a low pressure system that looked like it would hit Portugal and Spain. 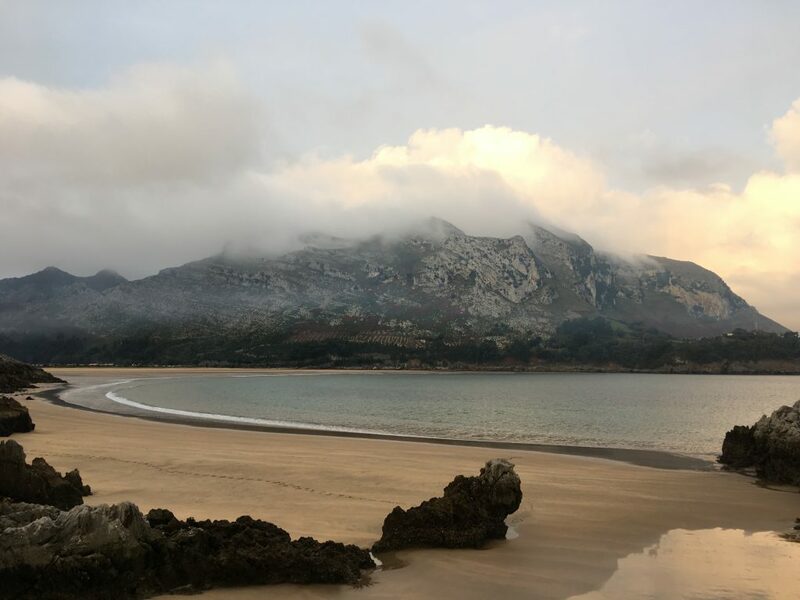 It had got to the point where the forecasters were pretty convinced that it was going to cause heavy rain and thunderstorms along the northern coast of Spain, and unfortunately for us it looked like it was going to linger over the Picos de Europa. It was 1995 when I first went to the Picos de Europa on a trip with my ex-university friends from LUSS – the Lancaster University Speleological Society. My memory of the couple of weeks we were there includes long lazy days in mountain meadows in the sunshine in between stints at the bottom of caves unsuccessfully (particularly in my case as I am a bit of a wimp when it comes to hitting anything) wielding a lump hammer trying to break through constrictions to the chasms beyond. The aim was to find new entrances to the substantial cave systems in the Picos, an activity that continues to this day, see http://www.tresvisocaves.info/. I was very keen to go back for an above ground visit, but the weather forecast was looking pretty wet and we decided that we’d rather wait and put in on the itinerary for next year. 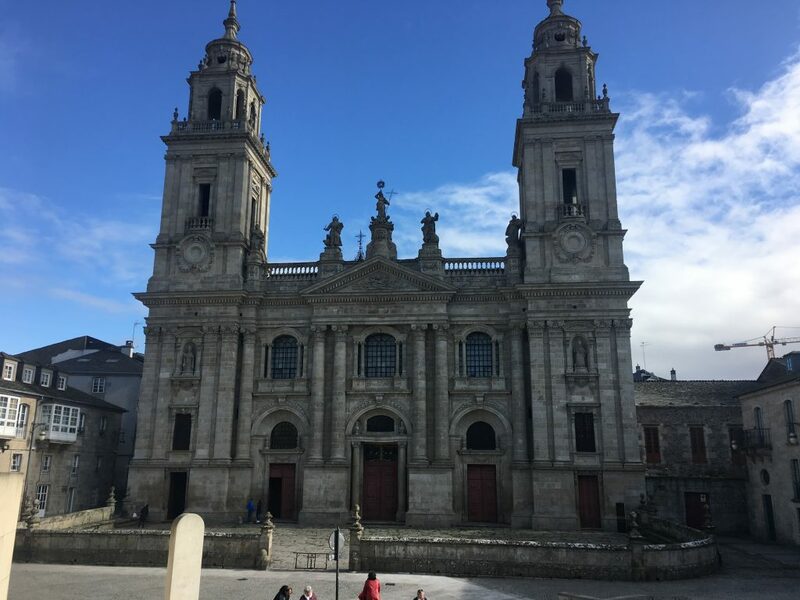 Instead we spent the day driving west and south of the Picos, bypassing the Asturias region and the rain to bring us to Galicia. The drive really bought home the major engineering efforts that are required to navigate through such a large country, tunnels, bridges and viaducts on a scale that we don’t see in the UK. Of course the advantage here is that there is elbow room to build roads, often leaving the ‘old roads’ in situ and giving us tightwads an alternative to paying tolls. 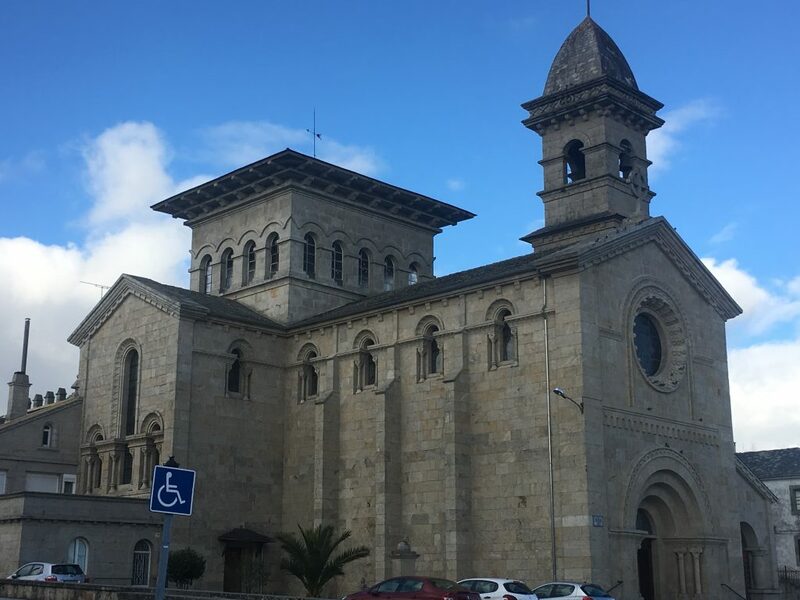 Our drive eventually bought us to Lugo, a hill-top town inland in Galicia; it seemed unprepossessing when we arrived in the twilight, the parking area was part way up the hill with views of roads and more industrial areas of the town and any views upwards obscured by a park. 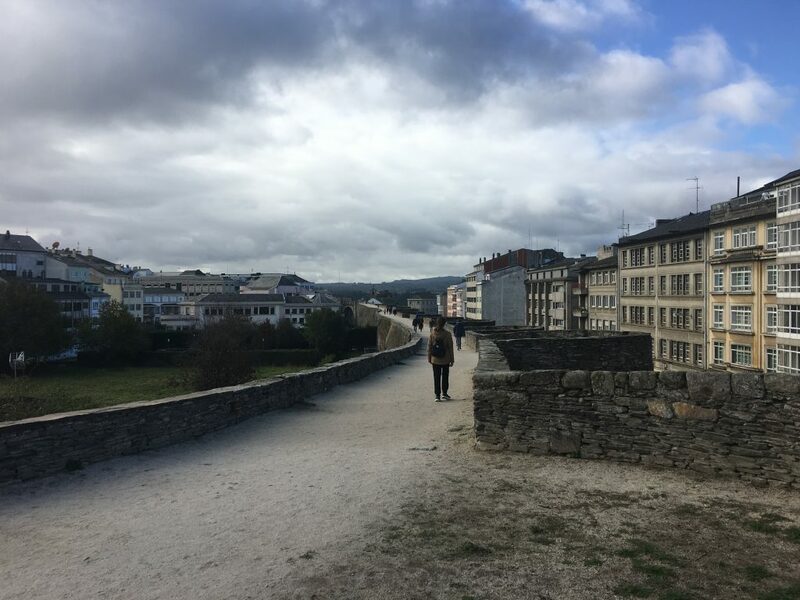 The following morning we climbed up through the park to get to the center of town where we finally managed to get a look at Lugo’s most famous, and unique, feature –Roman walls that form an intact and unbroken ring around the city. 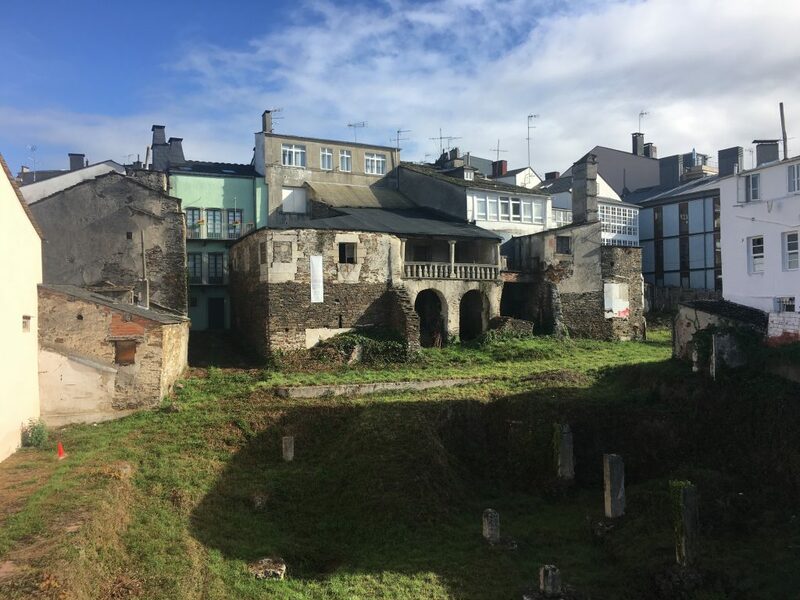 We joined many people on a Sunday morning stroll around the top of the walls, looking down and across to the rooftops of buildings of all different ages, some modern or renovated and some looking to be on the brink of collapse. 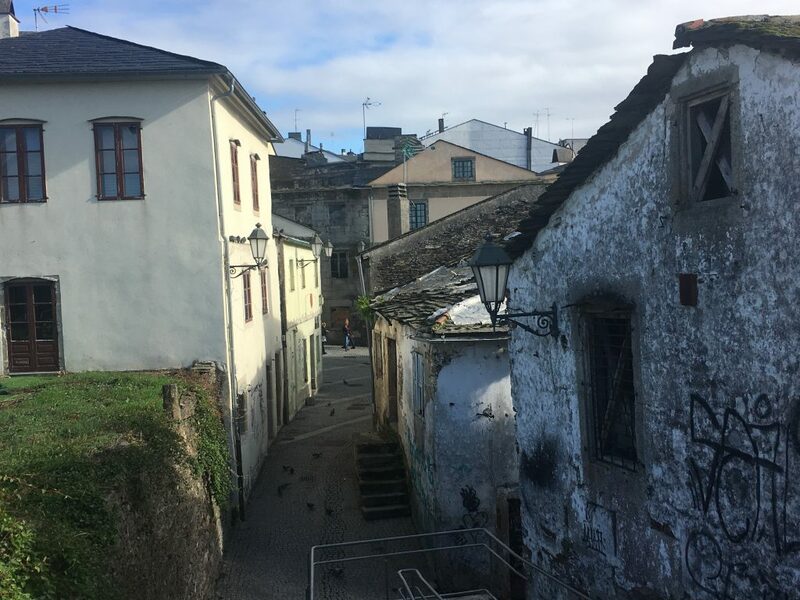 It didn’t take long to walk a complete circuit so we followed it up by meandering through the streets seeing if we could match building to roof. 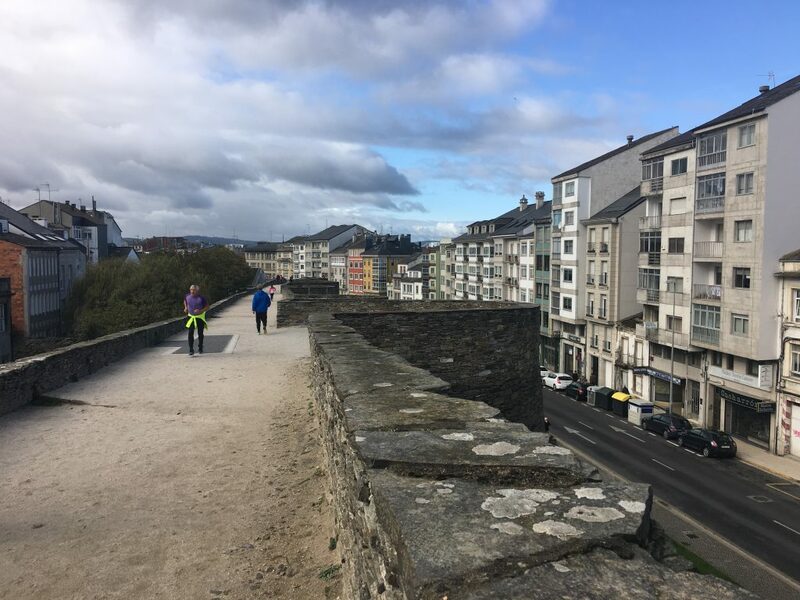 There wasn’t enough to keep us in Lugo for another evening and so in the afternoon we moved on to Guitiriz with the aim of finding a walk or bike ride in the area. There is a small motorhome parking here which was free AND included working electricity, I think that’s a first for us. 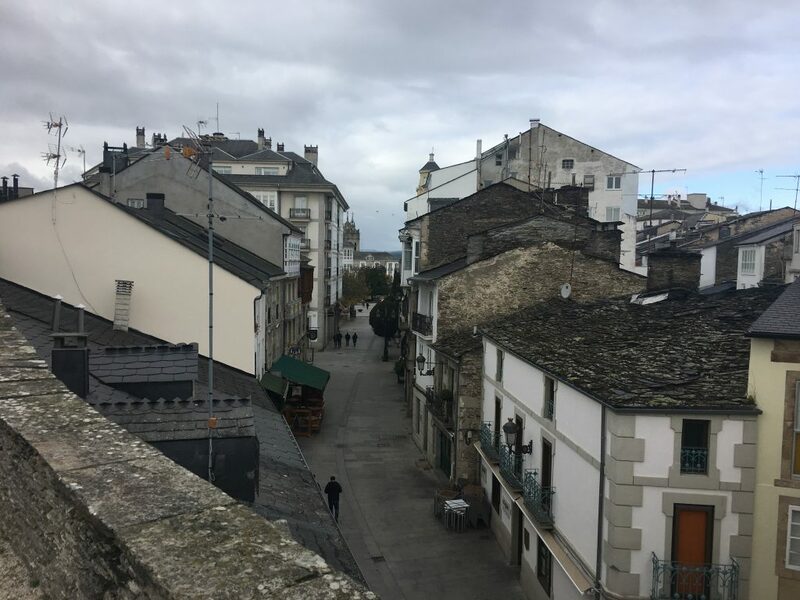 We turned up and parked alongside a German motorhome on the limited hardstanding and took ourselves off to explore the small town to see where we might pick up some vittles for our packed lunch the next day. As it was Sunday most things were closed but we spotted a couple of Panaderia/Pastellarias. We also found a notice board for a walk which we agreed would keep us entertained the following day. That night we felt the first real onset of autumn with a cool, almost cold, evening. Luckily we had electricity and so we could have our little oil fired radiator on for a bit of additional warmth.